Van Griffin died last night. I didn’t know Van all that well, but what I knew of him I liked. I met him a few years ago through his son, Toby, and would run into him with frequency in downtown Marshall, or on the Bypass, and always at the rodeo and county fair. 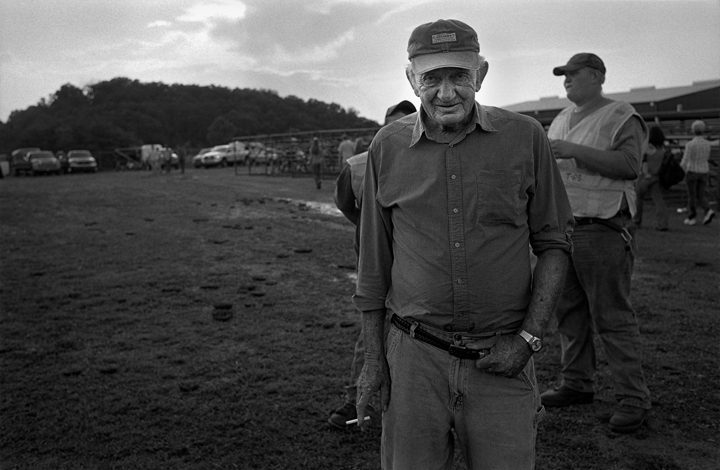 He was forever ready to talk and was always generous with me – never refusing a request to make his photograph. Van was a common man; and I say that in the most complimentary of ways. Easy to be around, no pretensions, funny, fun-loving. Here in the mountains, people would say he was a good ol’ boy. He kept chickens, lots of chickens, and regularly won prizes for them at the county and regional fairs. This morning as I write this, I know Van is at peace after a long illness. I think of his family – his wife Ruth, his children – Toby, Keith, and Jan, his grandchildren – Levi, Jordan, Savannah, and Kaitlin, his brother Coy and his sister Jacksie. Death is always hardest for those left behind, but I know we will carry memories of this kind, graceful man with us for a long time and those memories will cause us to smile.